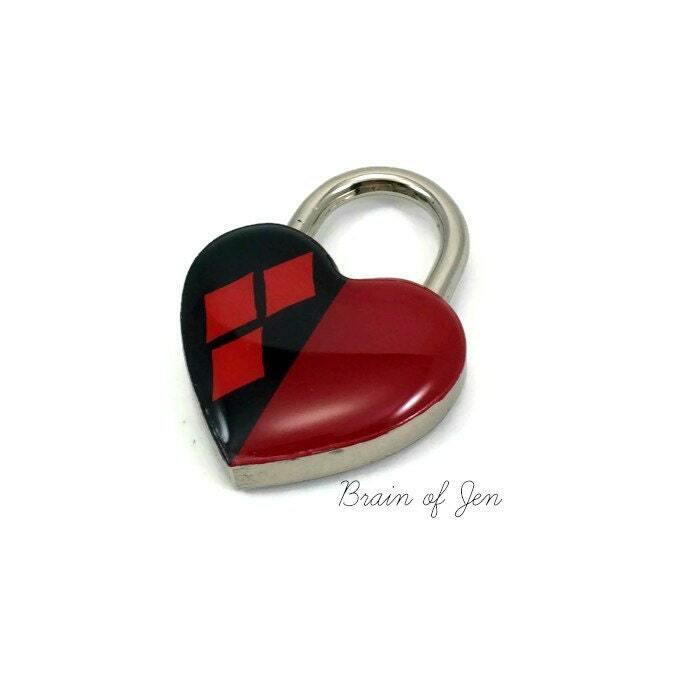 Harley Quinn inspired heart shaped padlock. 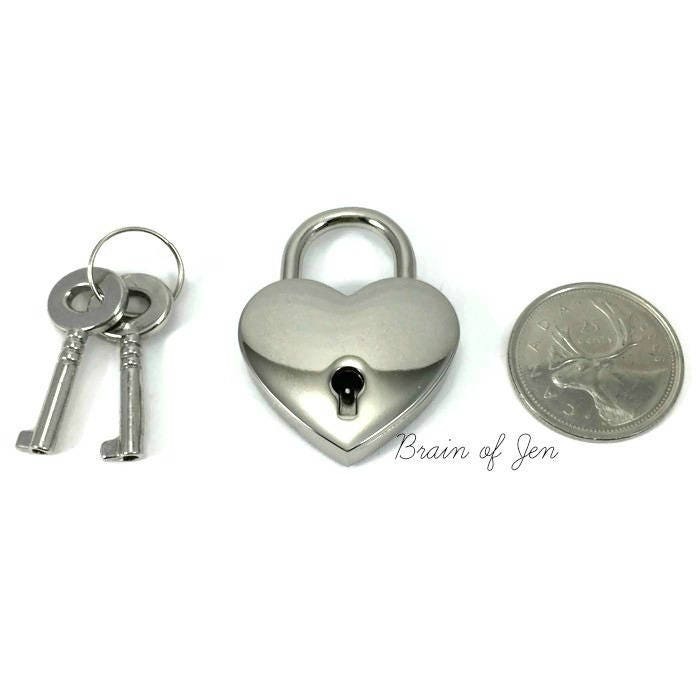 Lock measures 30 mm and comes with 2 keys. If nickel sensitivities are an issue, just let me know and I'd be happy to add a clear enamel coat to the back of the lock at no extra charge!